Twin sisters, Alanna and Alicia return to the Old Church on the Hill to sing their original folky jazz songs for you in a Sunday afternoon concert. 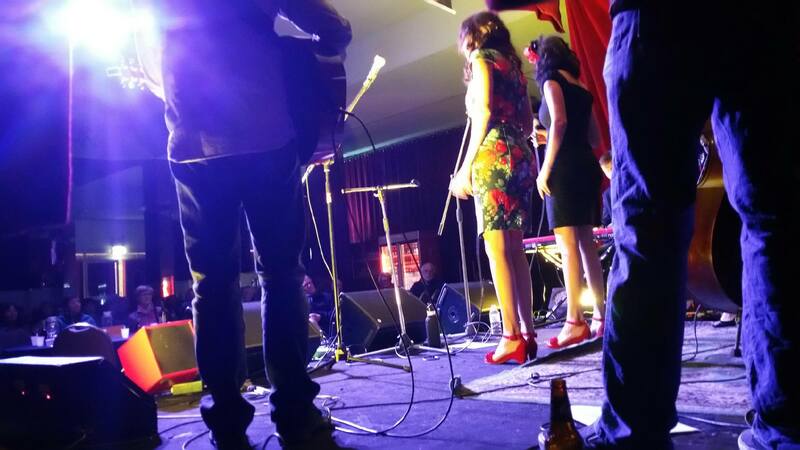 Known for their quality, quirky lyrics and sweet harmonies, they will be accompanied by their wonderful band, talented musos, Damien Neil, guitar, Silas Palmer, piano and violin, and Sarah Busutill, violin and snare drum. They will also sing songs from their most recent release, Songs I’m Singing with Me, a tribute to troubadour John Beavis, whose beautiful songs were not as widely heard as deserved due to his ongoing battle with mental illness. Special guest will be crooning troubadour and old time folk singer, William Alexander (the kid from Bourke), who brings back the songs of hillbilly and country musics greatest figures as well as his own songs of the new world and all its trials and tragedies. A great way to spend your Sunday arvo! Sit back, sip a wine and listen to this mini folk festival!